Around this time last year, I started my Young Adult Fiction Challenge. 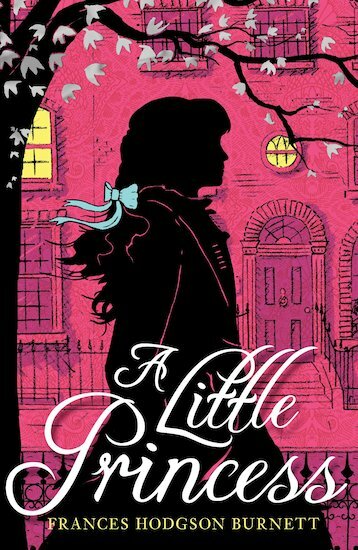 It kind of fell by the wayside as I tunneled down a wonderful adult-books rabbit hole, but the other night I needed something to read and SpeedyKate recommended one of her favorites: A Little Princess. Shockingly I had never read it, but I do count the movie (the one with Shirley Temple) as one of the classics from my childhood. As I read A Little Princess it all came back to me – the voice, the clothes, the hair, the plot. It’s written in 1905 by Frances Hodgson Burnett, who went on to publish The Secret Garden in 1911. Fun-fact – Burnett was a playwright and author until she met Louisa May Alcott (Little Women!!!) in 1879 and was inspired to write children’s fiction. Also she lived in DC! Also, her house was literally next to my current office. Small freaking world. Anywho, the story is about Sara, a precocious and wealthy but very sweet little girl who is sent to boarding school in England after living with her father in India. I can't speak for every little girl out there, but I know that I (and I suspect SpeedyKate) wanted nothing more than to be just like Sara: smart and imaginative and from an exotic location and loved by everyone and challenged by something but ultimately coming out on top. Also an orphan-ish (why are orphans in books so cool? ), and also an only child (sorry Sisters 1 and 2...I don't feel that way anymore, but you know how it was). It’s just such a nice story – the plot moves along, as most young adult books do, and stands up well to an adult read. I don’t want to give too much away (plot twists! surprises! ), so just read it, to yourself or your kids. Or watch the movie (wow the whole thing is on YouTube!). Ooh and you can download the whole book read aloud online.